On Nov. 1, 2011 we celebrate the Solemnity of All Saints. 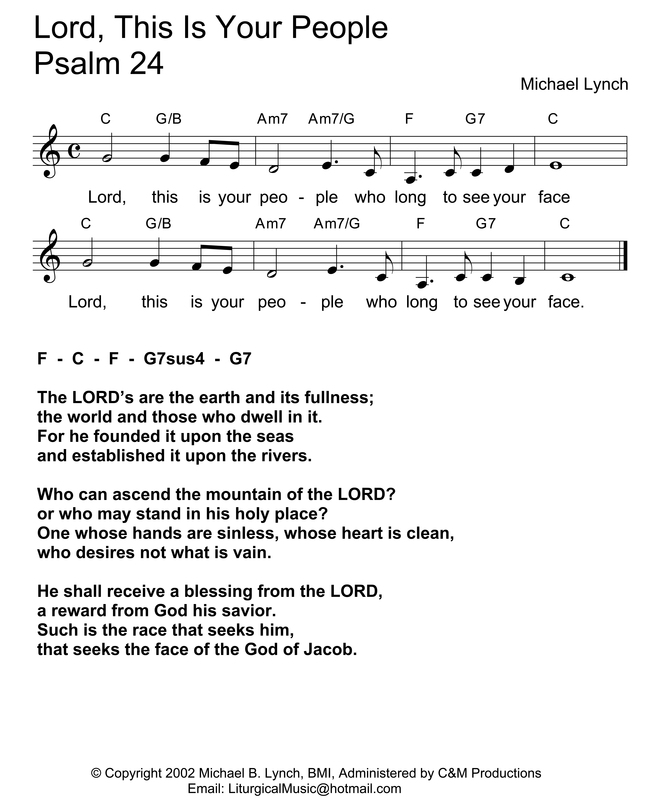 The Psalm response appointed for that day is Psalm 24 “Lord This Is Your People That Long To See Your Face” Below is an image file of the psalm which can be saved by right clicking, “save picture as” then printing out. I will be posting these regularly giving music directors a week or 2 or more to be planning, preparing and rehearsing these settings. This entry was posted in Responsorial Psalms and tagged Christ The King Parish Seattle, Liturgical Music, Michael Lynch Composer, Psalm Response, Solemnity of All Saints.